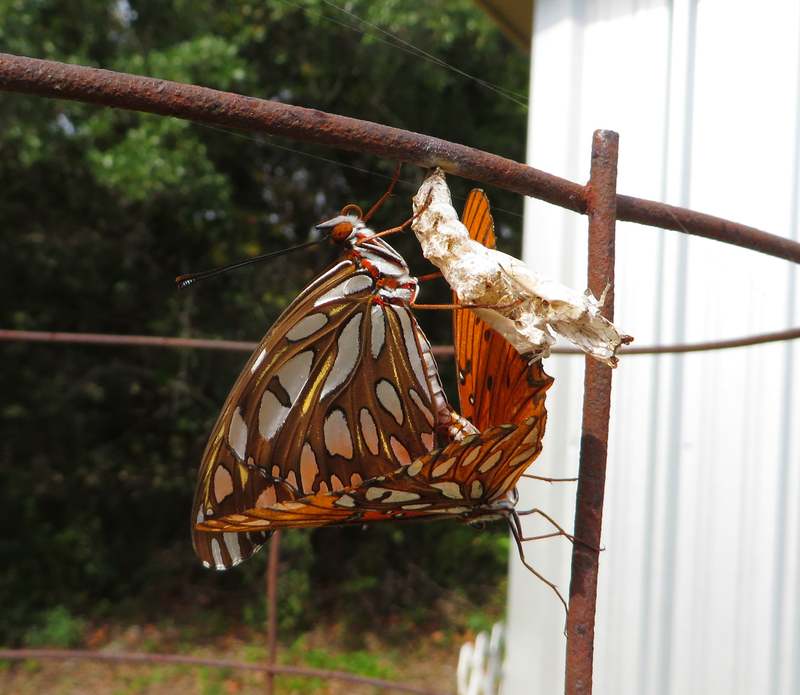 The Gulf Fritillary butterflies have returned and their larvae are VERY hungry! 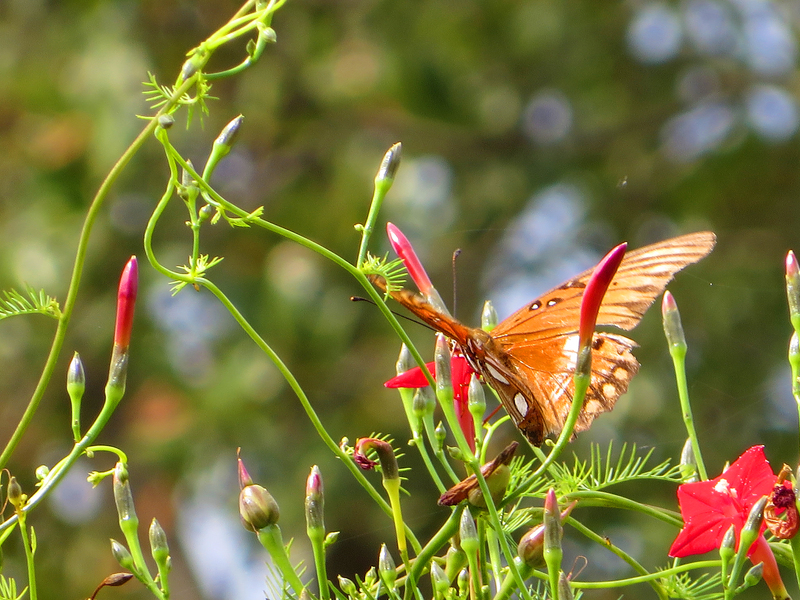 Earlier this year we had the Gulf fritillary butterflies come make themselves at home on my passion vines. 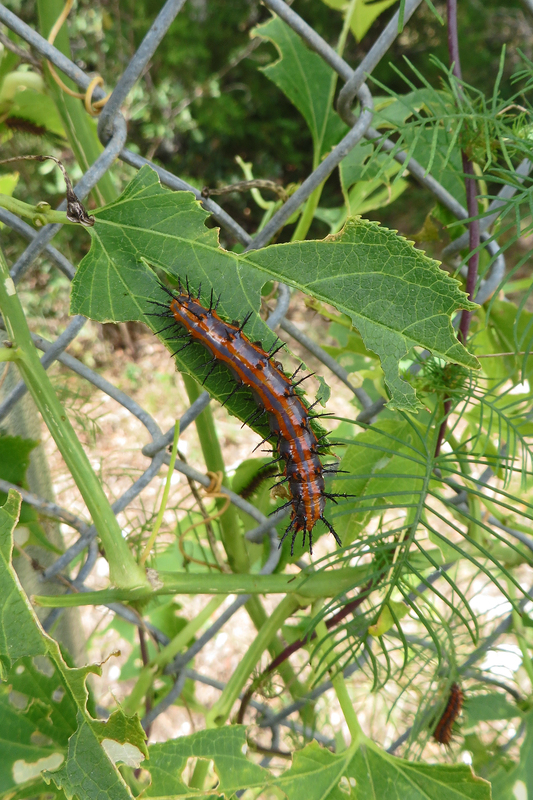 Their larvae pretty much defoliated my vines and it was a battle. 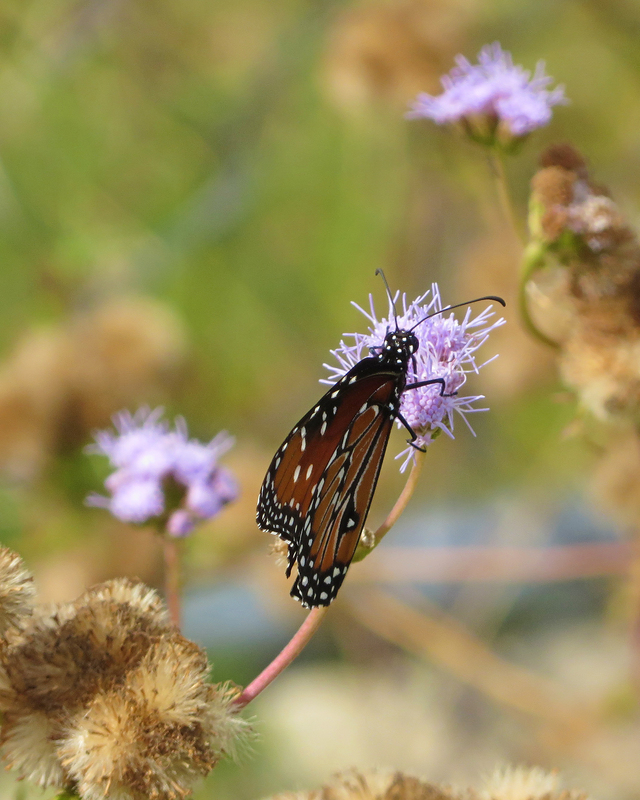 They seemed to have moved on during the summer, but are now back with a vengeance, once again happily eating my passion vines. 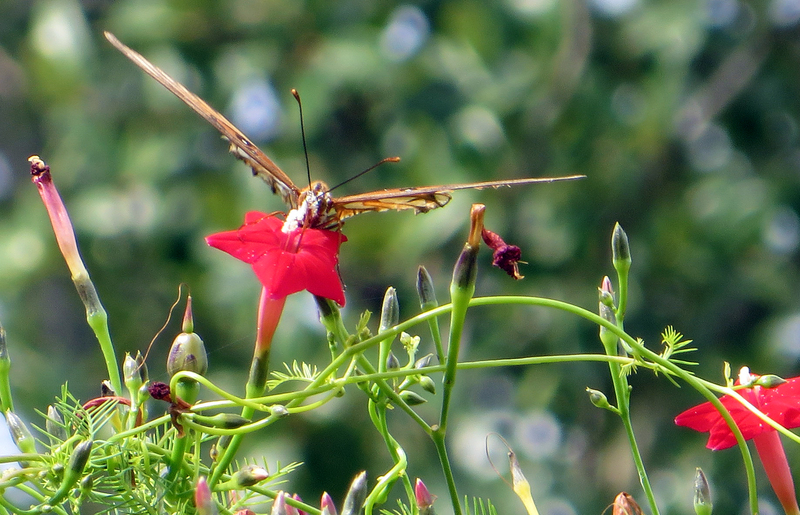 They also like flitting around the cypress vines and mist flowers, which is very pretty to watch. 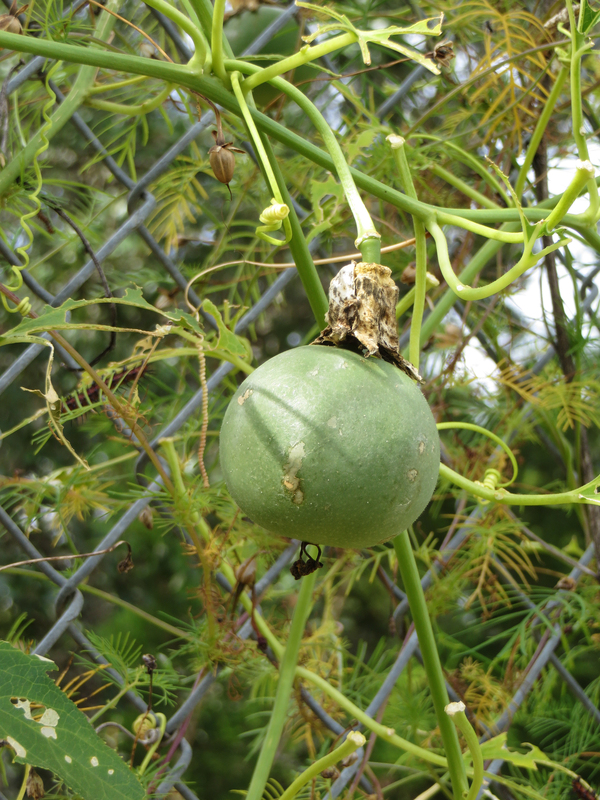 This year the vines produced fruit. 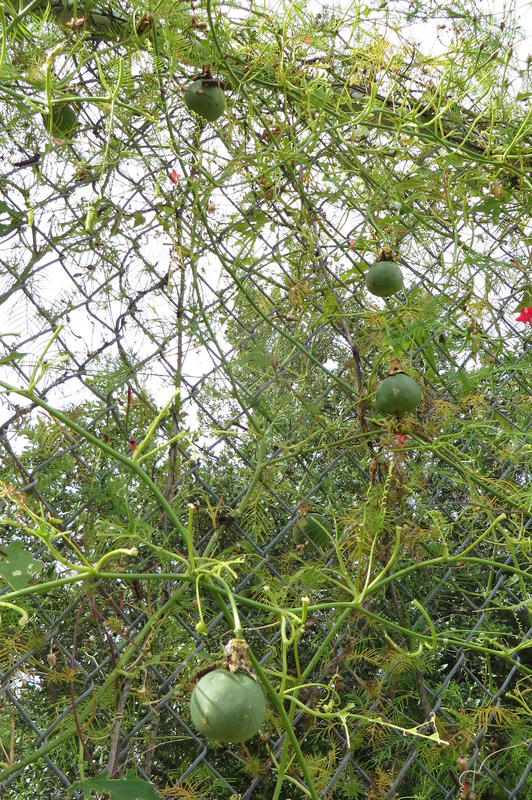 We counted eight passion fruit today. I hope the larvae do not like to eat that too.